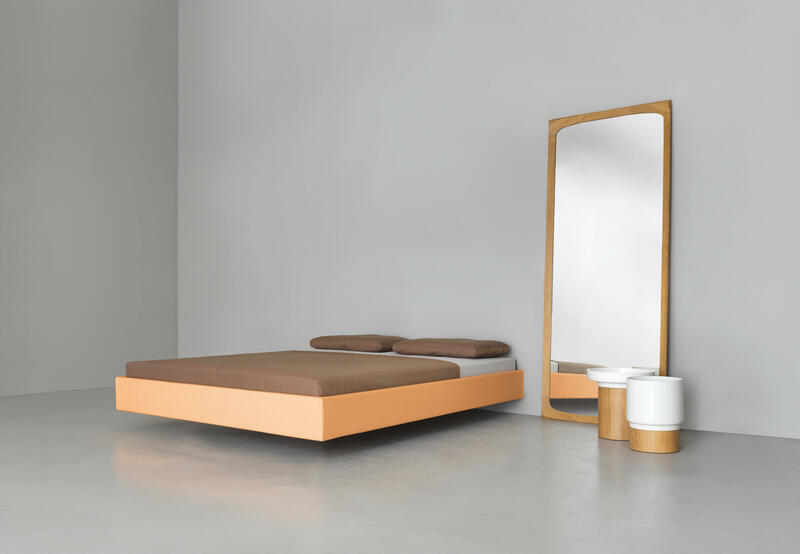 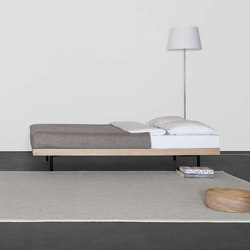 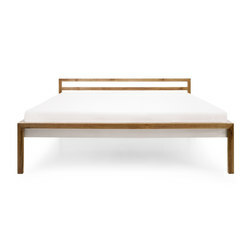 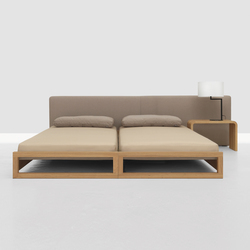 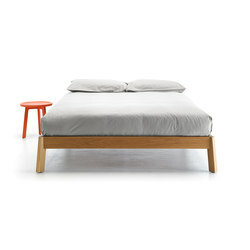 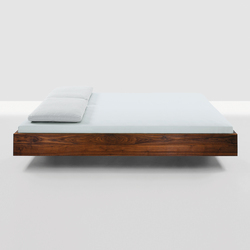 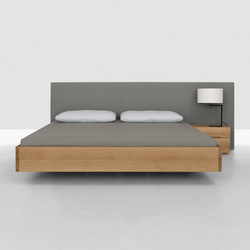 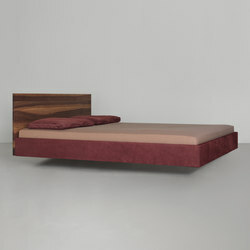 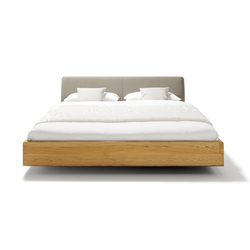 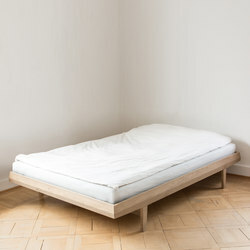 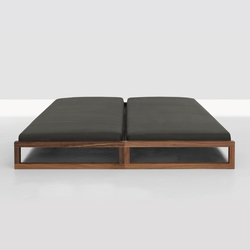 SIMPLE SOFT – the floating upholstered bed. 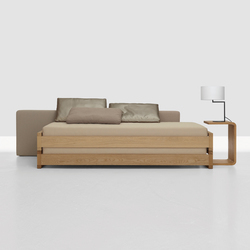 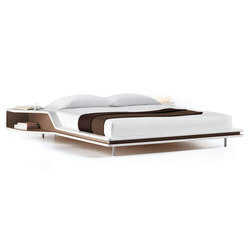 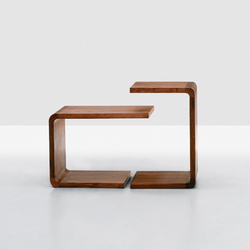 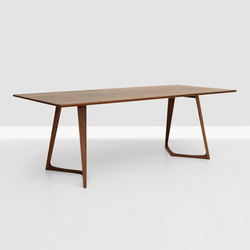 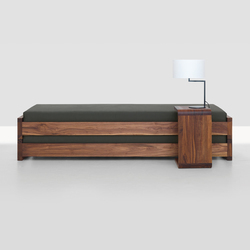 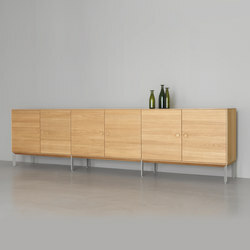 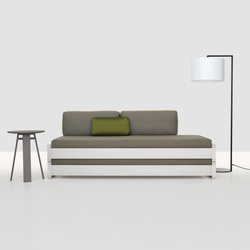 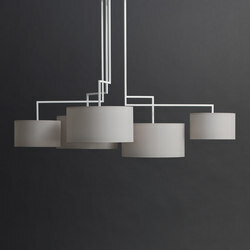 The formal reduction of the SIMPLE collection was carried over to the upholstered bed. 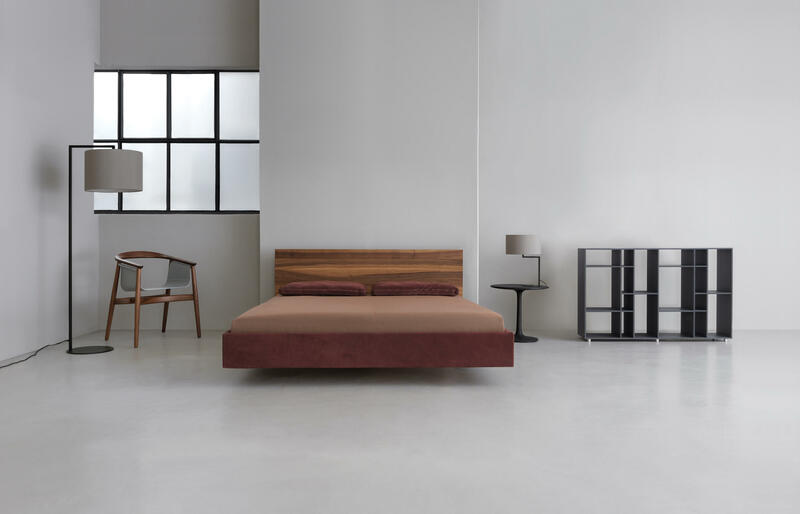 The fabric or leather-based design of the SIMPLE SOFT bed is available in three versions: a basic version without a headboard, a fully upholstered bed with an upholstered headboard and an upholstered bed frame with a wooden headboard. 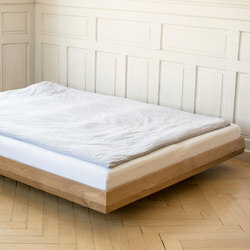 The cover is manu- factured in one piece and can be easily removed for cleaning.